Trem Carr's "Near the Rainbow's End"
The song actually has several more verses, but Zoeller and some other popular bandleaders of the day recorded this abbreviated arrangement. 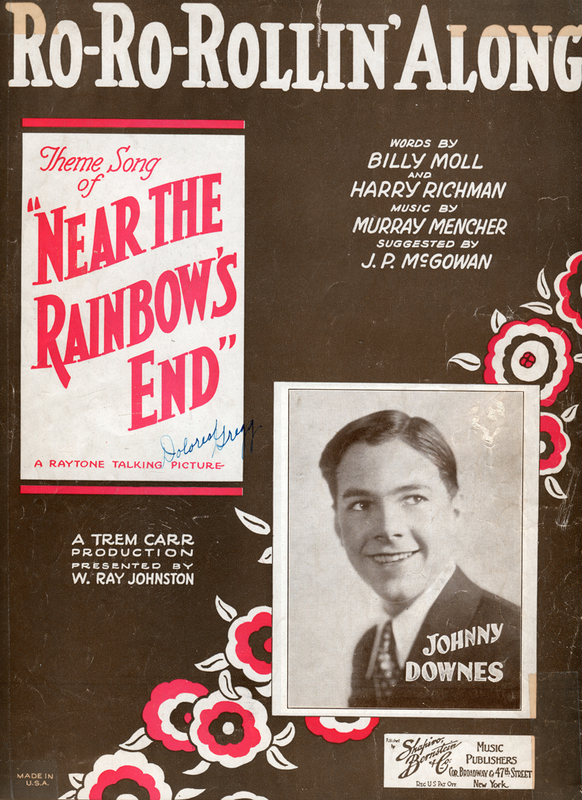 "Ro-Ro-Rollin' Along," theme song to "Near the Rainbow's End," a 1930 Trem Carr production of a Raytone (Ray Johnston) Talking Picture directed by J.P. McGowan, starring Bob Steele and shot in Placerita Canyon. Sheet music (©1930) published by Shapiro, Bernstein & Co. of New York. Song "suggested" (conceptualized/ordered) by McGowan; music by Murray Mencher; lyrics by Billy Moll and Harry Richman. Apparently the version of the song used in the film was performed by Johnny Downs (here spelled Downes), a child actor of the 1920s ("Our Gang") who pursued a vaudeville song-and-dance career before returning in the 1930s to Hollywood where he appeared in musicals. Carr was shooting "B"(udget) Westerns in Placerita Canyon by 1926 under his own name and in partnership with others. 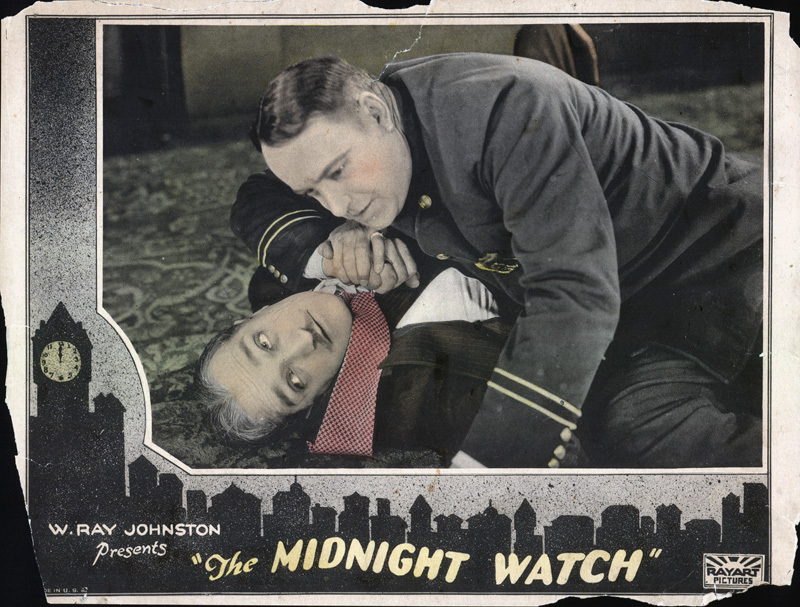 This film was released by Tiffany Productions, which had started in 1921. Tiffany took over the Reliance-Majestic Studios on Poverty Row in 1927 and distributed eight films starring Steele and 10 with Ken Maynard before going bankrupt in 1932  a time when many small studios either disappeared or merged into Herbert Yates' Republic. Another little Poverty Row studio called Columbia Pictures bought Tiffany's studio complex. The year after they made this film, Carr and Johnston formed the first iteration of Monogram Pictures Corp. and leased property in Placerita Canyon for their own Western movie town  adding one more in a canyon where most of the ranches were already heavily used for filming. Carr's pal Ernie Hickson handled set decoration for "Near the Rainbow's End," which co-stars Lafe McKee, Al Ferguson, Alfred Hewston and Louise Lorraine. Stunts by Cliff Lyons	(uncredited). lw2314: 9600dpi jpeg from original sheet music puchased 2013 by Leon Worden.